Should racial and ethnic preferences continue? 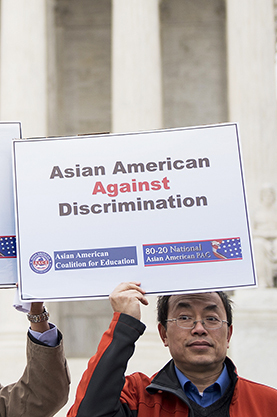 The Supreme Court has upheld the use of race in college admissions, but affirmative action is facing new challenges. Many whites continue to oppose giving preference to minorities to compensate for discrimination and to diversify campuses, and the Trump administration says it may sue universities practicing “intentional” discrimination. Several critics question affirmative action's effectiveness, citing minorities' continued under-representation at elite universities. But affirmative action's defenders say it has helped raise minority representation on campuses, and that most universities rely on a “holistic” admissions approach that looks at applicants' public service, creativity and other attributes, as well as race. Georgetown and other schools are pursuing innovative ways to diversify their student bodies, such as admitting the descendants of slaves owned by their institutions. Meanwhile, activist Edward Blum has filed numerous suits challenging laws and policies that favor minorities over whites.